Many fast food and snack chains here in Queensland are now required to display the energy content (in kilojoules) of food and drink, making it easier for consumers to make better choices. The consumption of fast foods, which are high in kilojoules, is a contributing factor to the growing instance of overweight and obesity in Queensland. While we need energy from food to keep our bodies working, kilojoules that aren’t used each day get stored as fat and result in weight gain. 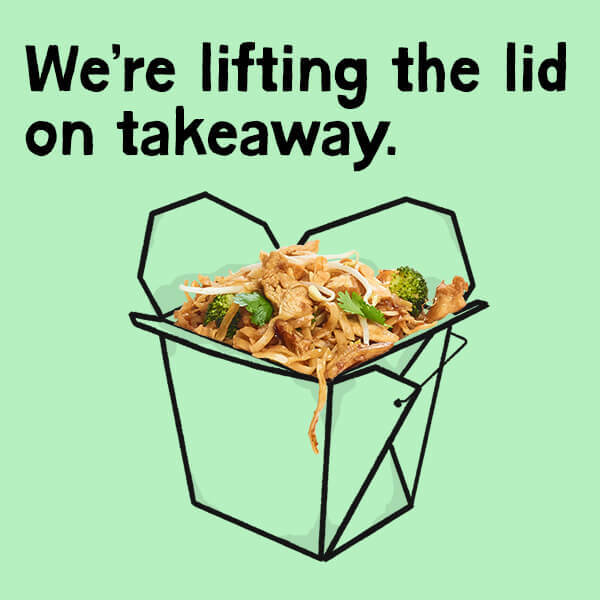 New Queensland legislation requires takeaway chains (with at least 20 outlets in Queensland or 50 outlets nationally) to display the average kilojoule content of food and drink on their menus. However, research suggests that Queenslanders currently have a very low awareness and understanding of kilojoules and personal energy requirements. 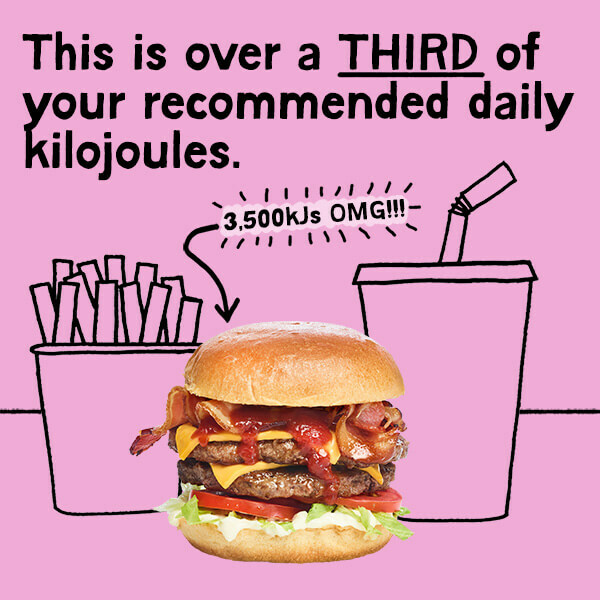 Queensland Health’s Kilojoules on the menu campaign commenced on 26 February 2017. The campaign was delivered across digital, radio and out-of-home channels, with additional content and videos hosted on the Healthier. Happier. website. Well, it’s also very powerful stuff. You see, we require food to give us the energy we need to live our lives. To run in the park, to hang out the washing, to dance with our sweethearts. What you may not have known is how that energy is measured. And that’s where kilojoules come in. Kilojoules are the measure of how much energy you get from consuming food and drink. The higher the number, the more energy the food contains. Of course, just like any other form of energy, kilojoules can be burnt off. And in the case of kilojoules, it’s your body that does the burning. So the more you use your body, the more kilojoules you burn. But what happens if you consume too many kilojoules…more than you’re able to burn off? Well, a number of things can happen. In the short term, you can experience weight gain, and that may make you feel tired, unfit and lacking in confidence. In the longer term, you may even end up with chronic diseases like heart disease, diabetes, stroke and some cancers. That’s why it’s incredibly important to understand just how much energy your body actually needs. 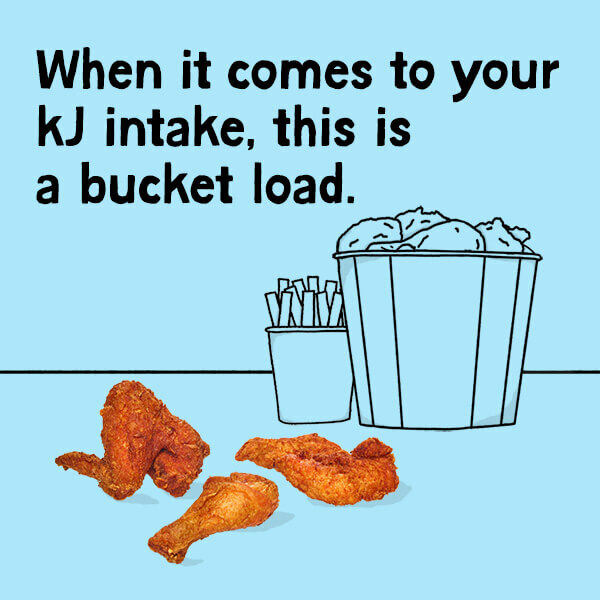 The average kilojoule intake here in Australia is 8,700kJs a day. While this may sound like a lot, many of our favourite foods are surprisingly high in kilojoules. Take this muffin for instance. It contains over a quarter of your daily allowance. 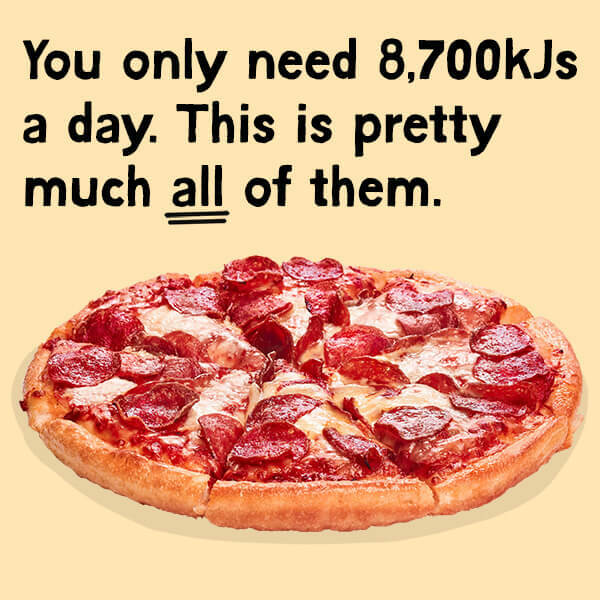 And a single plate of nachos… well, at a whopping 4,175kJs, it’s almost half of your allowance. Crazy huh? 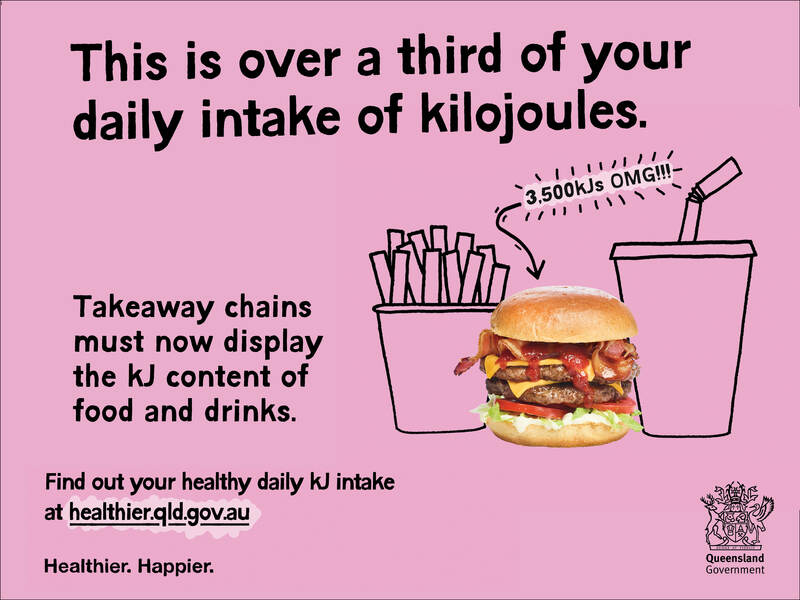 With takeaway chains here in Queensland now required to display the kilojoule content of food and drink, we now have the information we need to make better choices. After all, kilojoules are powerful… but so is knowledge. 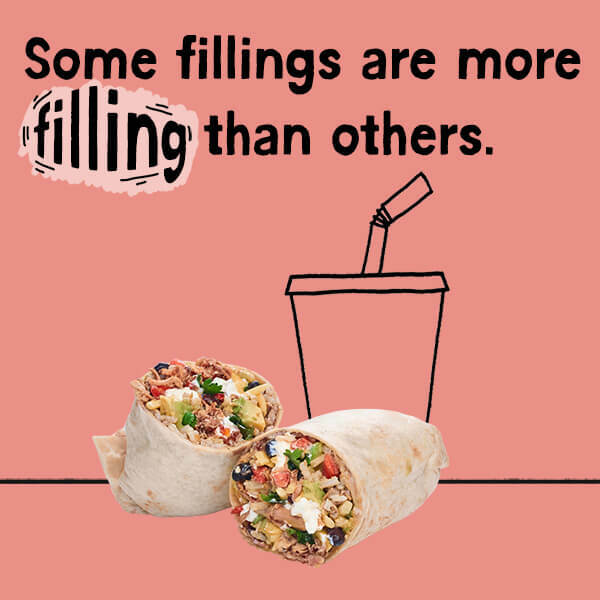 Next time you’re grabbing a bite, be sure to check them out.